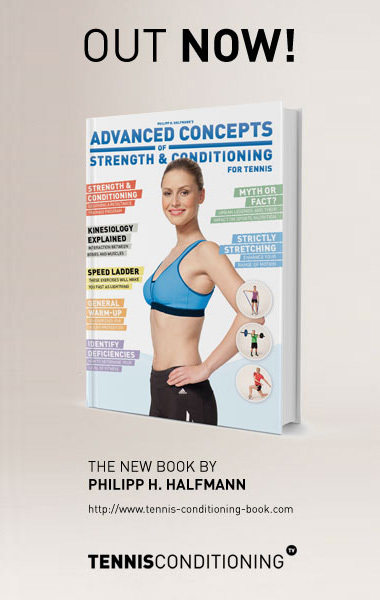 Philipp is the author of Advanced Concepts of Strength & Conditioning and Advanced Concepts of Strength & Conditioning for Tennis. Both books are endorsed by the International Association for Athletic Performance and Health (IAAPH) and used for their certification workshops. The textbooks are specifically designed for the purpose of teaching and applying. Therefore, the content is organized in sensible, constructive order, where each chapter first provides explanation of underlying scientific principles and then presents practical solutions in form of applications and exercises, which allows the reader to expand his/her competency, while offering a resource of immediate practical solutions and training recommendations. The books provide a comprehensive and cohesive body of knowledge and over 400 applications that can be utilized to develop all aspects of athletic conditioning for all skill levels, from recreational players to college athletes to professional players, in a safe and professional environment. For athletes the books offer everything they need to know with respect to stretching, resistance training, ballistics, plyometrics, speed, agility, quickness training as well as nutritional strategies necessary to lay the foundation for a successful career. For parents , the books are a valuable resource in making informed decision when planning a successful career for their children. Whether you need to pick coaches, design conditioning programs on your own, or make prudent decision with regards to proper nutrition, Advanced Concepts of Strength & Conditioning or Advanced Concepts of Strength & Conditioning for Tennis provide the answers you were looking for.